For the first time, The Times brings together a unique collection of obituaries of Ireland's most distinguished individuals from the last two centuries. The Irish have richly contributed to the world stage most notably in literature and politics but also in art, dance, music, film, religion, science and sport. The obituaries featured in this collection include: Oscar Wilde James Joyce Lady Gregory Thomas Moore W.B.Yeats Samuel Beckett Charles Parnell Michael Collins Countess Markievicz Eamon de Valera George Best Maureen Potter Eamon Andrews Cyril Cusack The obituaries are reproduced substantially as they were printed at the time. 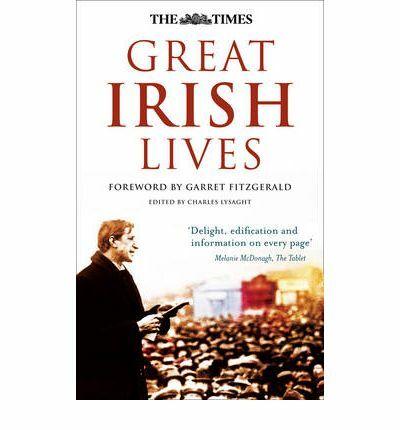 Dubliner, Charles Lysaght, long-time contributor of Irish obituaries to The Times, has selected the subjects for inclusion in consultation with Ian Brunskill, the newspaper's obituaries editor.